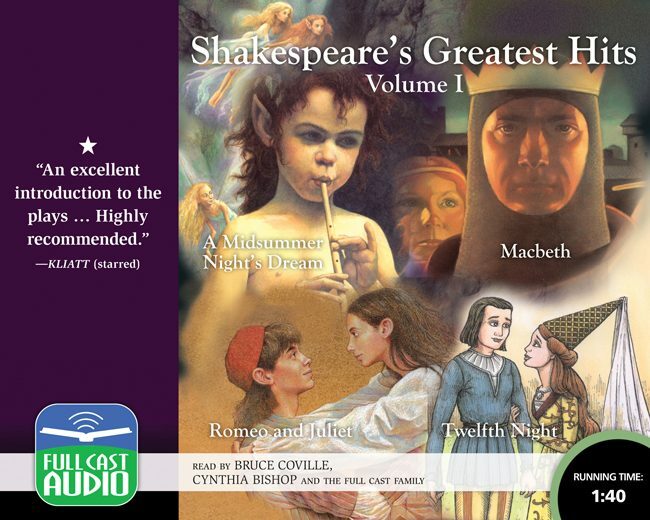 This highly successful series of Shakespeare adaptations comes to audio in a remarkable production that combines clear, accessible storytelling with the Bard’s gorgeous language. A huge cast of skilled readers brings the beauty, humor, and drama of these ageless classics to life in a recording that can be shared by the whole family. The perfect way to introduce youngsters—and adults—to the wonder of Shakespeare!